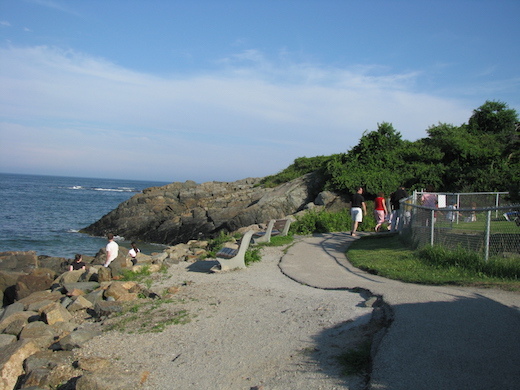 This 1-mile footpath runs right along the shoreline from near the center of Ogunquit to Perkins Cove. Fantastic ocean views at elevation the entire way. Numerous access points off Shore Rd. A fun loop is to run on Marginal Way to the end of Perkins Cove, and then use Shore Rd., with its eclectic shops and restaurants, for the return. For an add-on, enjoy some of the side streets off Shore Rd., such as Frazier Pasture Rd. and Israel Head Rd. Or, hop onto Ogunquit Beach to extend your run. Note: In high season, Marginal Way and the Shore Rd. sidewalk can be very busy, making it difficult to run. Best to go early or off-peak! Shore Rd. & Odets Ln.